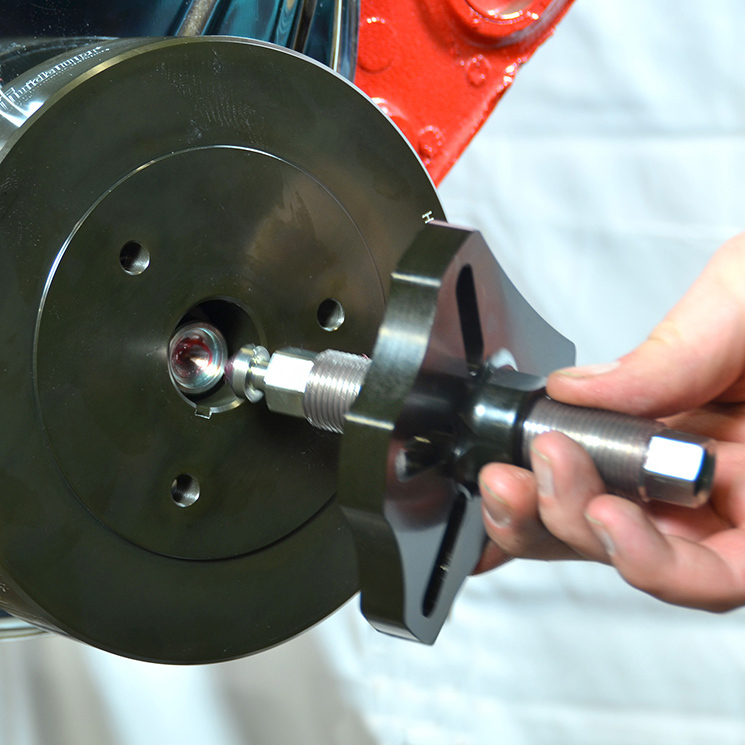 Proper harmonic balancer removal and press-fit installation is critical to quality craftsmanship. 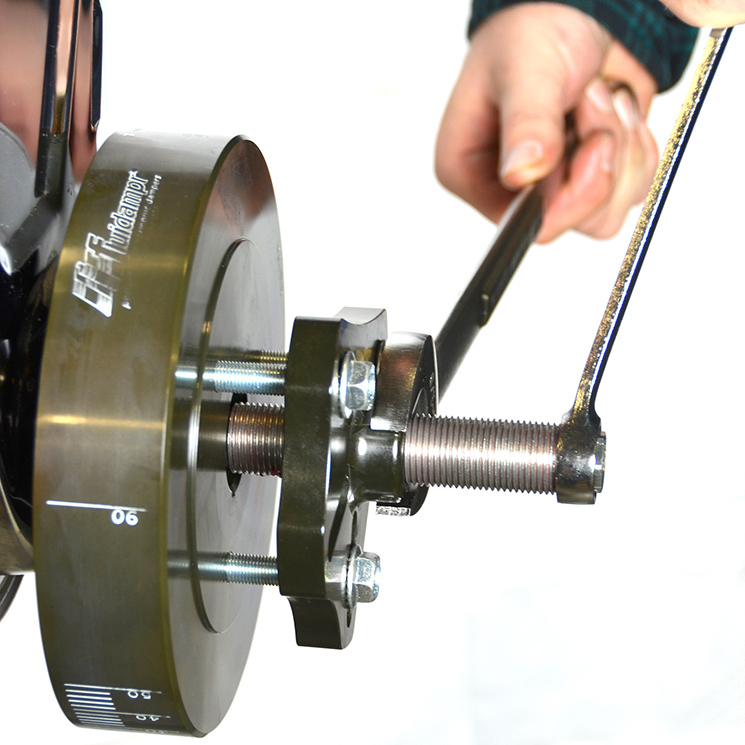 Fluidampr proudly announces a new Professional Harmonic Damper Puller / Installer tool kit. 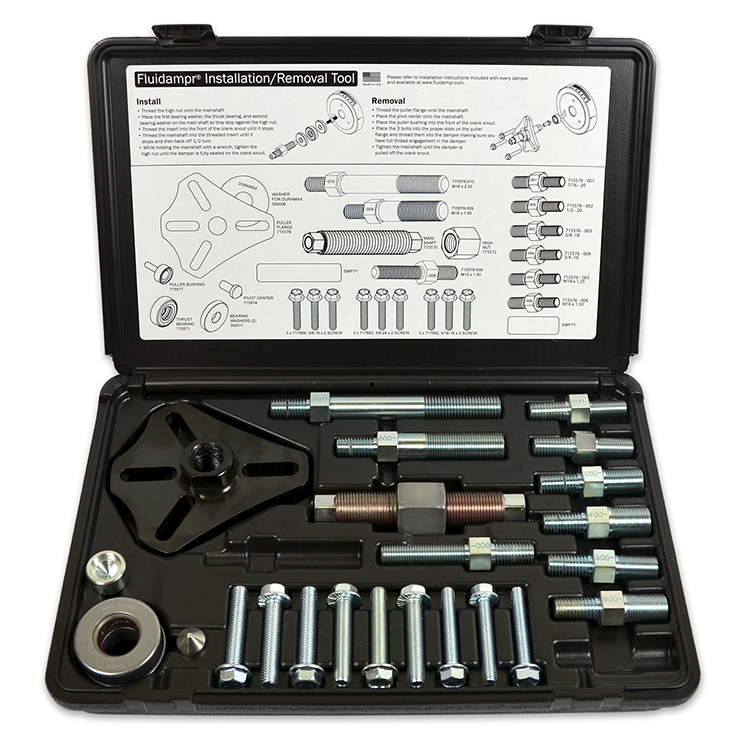 Suitable for long term daily engine builder and service center use. 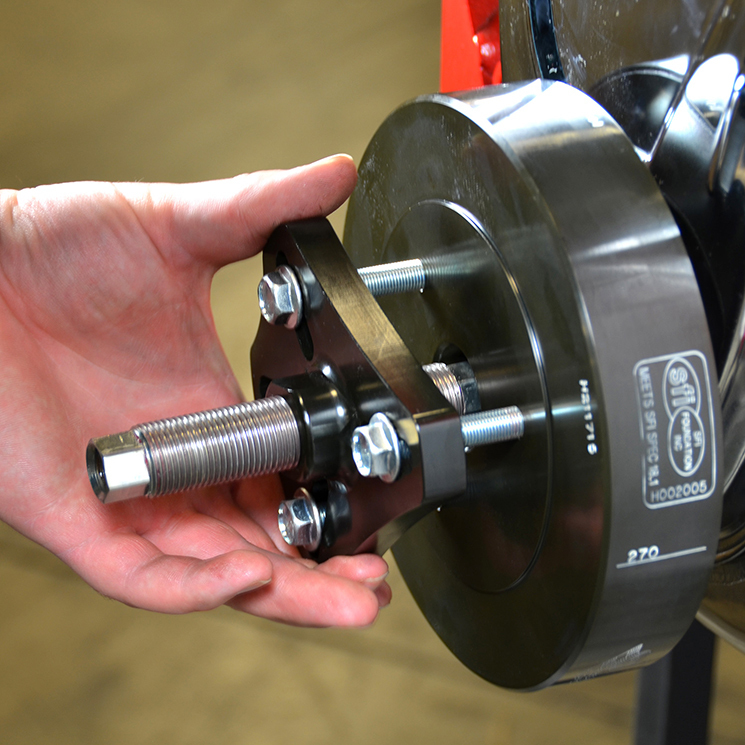 The puller features a premium bushing and pivot center tool with a heavy-duty flange plate for smooth damper removal. 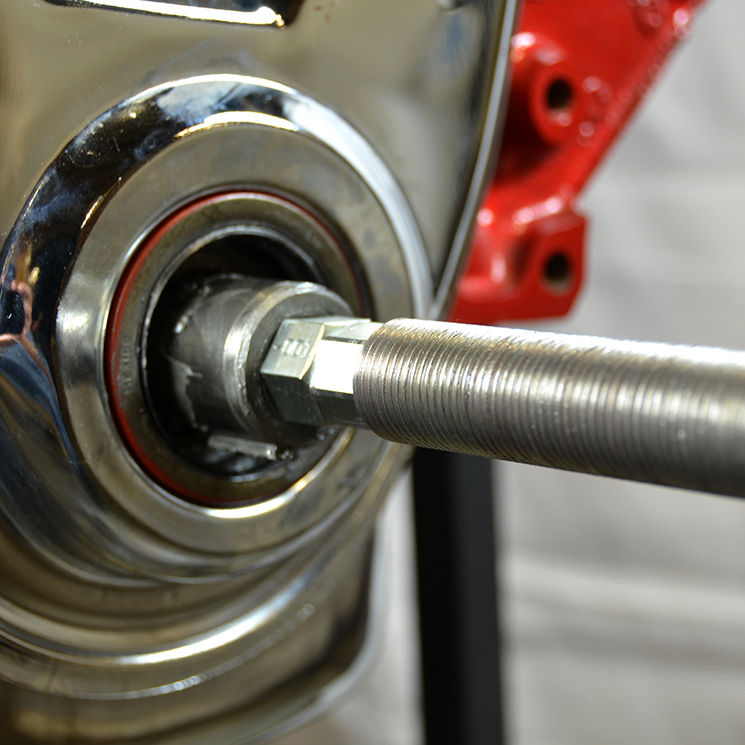 Components are CNC precision machined from 4140 hardened high strength steel with a corrosion resistant chromate finish. Accompanying stud sizes include 3/8-16x2, 3/8-24x2, and 5/16-18x2 for a wide variety of applications. The entire kit is packaged in a durable injection molded case for easy organization and storage. The inside cover includes instructions and contents labeling protected with a wipe free coating.